Though it is not in the headlines much these days, the Ebola outbreak in West Africa is worsening, with the number of infected people and the number of people killed by the disease being dramatically under-reported. In fact, as noted by Britain's The Guardian newspaper, the number of people in West Africa who have contracted the disease has risen well above 16,000, and the death toll nearly 7,000, according to the World Heath Organization, which warned that those figures are most probably low. Again, WHO officials have warned that the agency's figures are most likely being significantly underestimated. That's because reliable data from the outbreak has been spotty, at best, and totals often rise a great deal when information backlogs are cleared. The latest confirmed figures indicate that nearly half of those who were known to have been infected with the deadly virus have perished. Just how many have died? 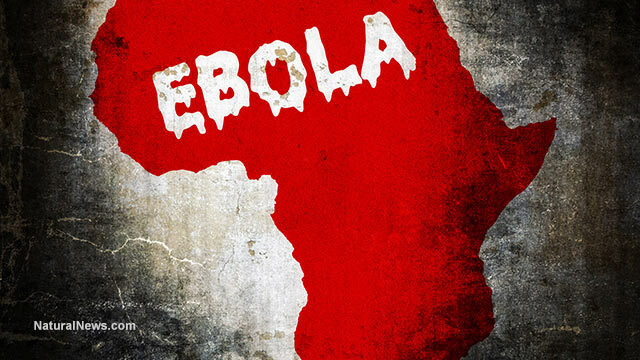 Moreover, the disease is beginning to seep out of West Africa. There have been a handful of cases in the U.S., and The Guardian reported that two children from Africa were tested for Ebola in Britain in recent days, but neither was found to be infected, according to officials with Public Health England. The agency went on to say what American agencies have said -- that chances of contracting the virus in Great Britain are "very low." "The children, whose ages and names have not been released, underwent precautionary tests in Newcastle for both the virus and malaria," the paper said. The current Ebola outbreak is the worst since the disease was discovered in 1976, and it has been centered primarily in three West African nations: Guinea, Liberia and Sierra Leone. The vast majority of cases thus far have come from those three nations, and there have been about three dozen cases elsewhere. The largest number of recorded deaths has occurred in Liberia, but world health officials say the disease spread is slowing there. Now, it is spreading much faster in neighboring Sierra Leone. Also, the African nation of Mali has begun to record infections of its population after sick Guineans crossed into the country. There have been two new cases reported in Mali in recent days. "This outbreak has been the worst partly because it occurred in a highly mobile region, where Liberia, Guinea and Sierra Leone meet, and quickly spread to their respective capital cities," The Guardian reported. The dearth of information regarding the Ebola outbreak -- how wide the disease is spreading, how much at risk the world really is (including the U.S.) and how badly it is ravaging key populations -- is understandable, given the U.S. government's instructions to the mainstream media to downplay or ignore stories about the pandemic. Natural News readers were told this two weeks ago, but now it's official: the federal government has ordered the mainstream media to stop reporting on suspected Ebola cases. "At the urging of the Obama Administration, the Associated Press and other news outlets have agreed not to report on suspected cases of Ebola in the United States until a positive viral RNA test is completed," writes the Gateway Pundit. "[T]he sudden departure of Ebola stories from the state-corporate media doesn't pass the smell test," reported Downtrend.com.